Are you really happy? Some people pretend to be happy but real happiness in something that we all are searching for. In this situation this lady Byron Katie has taught us how to discover the happiness that is hidden inside us. Katie is the founder of ‘The Work’ which aims at teaching people how to end their sufferings. Her personal experience was the motivational factor behind the establishment of ‘The Work’. The book would change your angle towards life as it contains a brief life of Katie along with her self-motivating and inspirational quotes. 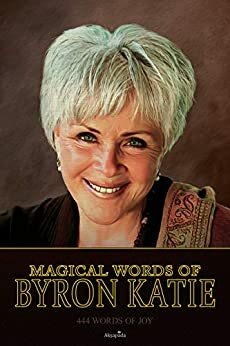 Such a beautiful compilation of the many ‘Gems & Pearls’ of Byron Katie. I will be purchasing these for friends and clients. Thank You. Suffering we do to ourselves , our thinking is our source of pain. I love the idea. Makes you realize that you are the only one who stands in the way of your happiness.